There are two ways to activate this option. If you click the clock the system will ask you if you want to finish all constructions and research orders in this village. 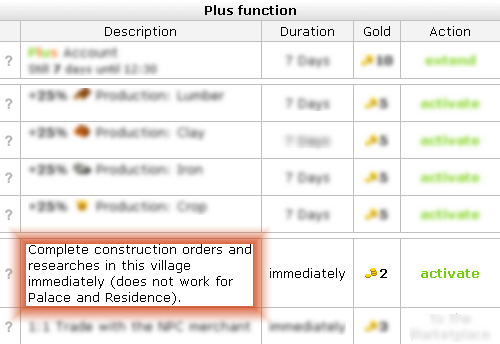 You can click the "activate" button at the gold menu to finish all constructions and research orders in this village. IMPORTANT: This feature doesn't work for the palace and the residence!